Combo Gift Cards - Sale! 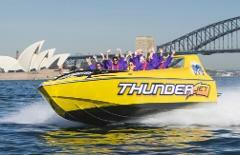 45 minute EXTREME adventure *the only one on offer from Circular Quay* - experiencing the thrills and spills of the Thunder Twist, but with so much more! 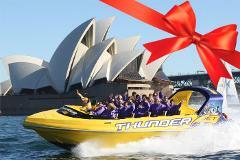 Your gift is a 30 minute Ultimate Jet Boat Adventure around the world famous Sydney Harbour! Get Excited to experience the Thrills & Spills of the Thunder Thrill and so much more! Hold on tight for the ride of your life! 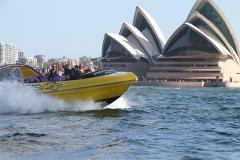 Your gift is a 45 minute Fun & Extreme Jet Boat Adventure around the world famous Sydney Harbour! Get Excited to experience the Thrills & Spills of the Thunder Twist and so much more! Hold on tight for the ride of your life! Enjoy a 45 minute jetboat ride around Sydney harbour and a day at Luna Park where you will enjoy unlimited rides in the famous theme park!